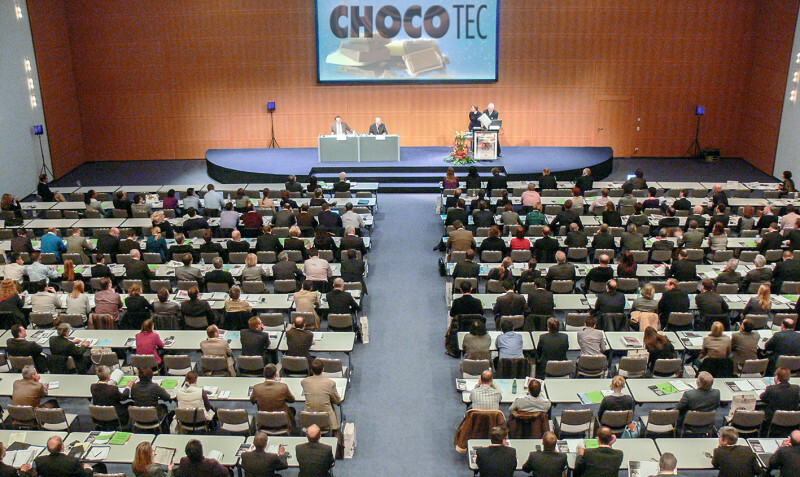 From 3 to 5 December 2018, the international chocolate industry will meet again at the Congress Centre North of Koelnmesse in Cologne/Germany for Choco Tec 2018. Every two years, the most successful and established congress of Zentralfachschule der Deutschen Süßwarenwirtschaft (ZDS) attracts more than 350 participants from about 20 countries, from all sectors of the chocolate industry. This year’s Choco Tec more than lives up to its motto “Inspiration – Information – Innovation” with numerous current topics and top-class speakers. Topics for 2018 include the prevention of fat bloom, mass customization with chocolate, the latest findings on cocoa contamination as well as automated remote maintenance concepts. In addition to the lectures, the poster exhibition plays a central role. The conference participants can view the posters during the breaks and during the special “poster session”. After the great success at Choco Tec 2016, there will also be a “poster slam” this year, where poster exhibitors will be given the opportunity to present the most important contents of their research within one minute. The congress will be rounded off by a large foyer and product sample exhibition and the festive dinner in the world-famous Chocolate Museum on the first evening of the event.